Finale Doshi-Velez, a postdoctoral research associate at Harvard SEAS, has been named among the year's 10 artificial intelligence researchers worth watching. Cambridge, Mass. - July 29, 2013 - Finale Doshi-Velez, a postdoctoral research associate at the Harvard School of Engineering and Applied Sciences (SEAS) and at Harvard Medical School (HMS), has been named among "AI's 10 to Watch" by IEEE Intelligent Systems. Doshi-Velez, an expert in artificial intelligence, is using probabilistic modeling techniques to create better diagnostic tools for clinical medicine. One of her current projects analyzes how autism spectrum disorders evolve over time. Another project mines electronic health records to assess the efficacy of treatments for diabetes. Based primarily at HMS' Center for Biomedical Informatics, she also works closely with Ryan P. Adams, assistant professor of computer science at SEAS. "Finale is a true rising star in the field of machine learning," Adams says. 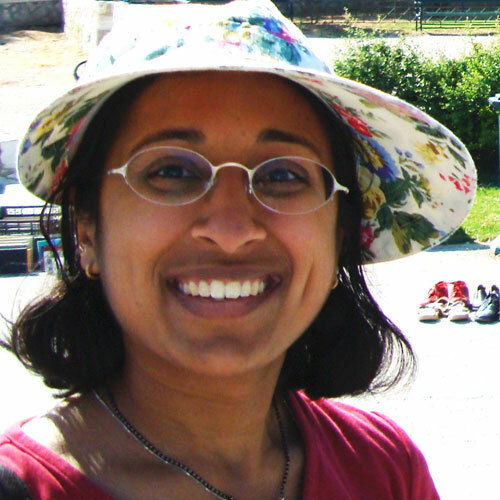 "She has made significant contributions to the theory and practice of machine learning across several areas. At the same time, she has formed deep collaborations with scientists outside of computer science, taking her core methodological contributions and applying them to important healthcare issues." "Beyond her brilliance in research, Finale is also a wonderful mentor to undergraduate and graduate students, and an exceptional teacher," Adams adds. "The IEEE is dead right to identify her as a researcher to watch; she's already done fantastic things, and I know she's only just getting started." Ariel Procaccia, a former SEAS postdoctoral fellow, is also among this year's "10 to Watch." From 2009 to 2011, he conducted research at Harvard's Center for Research on Computation and Society; he is now an assistant professor of computer science at Carnegie Mellon University. The winners, nominated by senior researchers in academia and industry, are chosen every two years from a pool of international talent by a committee comprising members of the advisory and editorial boards of IEEE Intelligent Systems. Harvard SEAS claimed a spot on the list in 2011, when Yiling Chen, associate professor of computer science, was recognized for her accomplishments in the field. Her research aims to design and analyze social and organizational systems according to economic and computational objectives. Her specific interests include prediction markets and other information aggregation mechanisms, online advertising, auction theory and mechanisms design, algorithmic game theory, peer production, multi-agent systems, and web data mining. In addition to Doshi-Velez and Procaccia, the 2013 honorees are: Nora Ayanian, MIT; Heng Ji, Queens College / CUNY; Brad Knox, MIT; Honglak Lee, University of Michigan, Ann Arbor; Nina Narodytska, University of Toronto; Stefanie Tellex, MIT; Jun Zhu, Tsinghua University; and Aviv Zohar, Hebrew University of Jerusalem. IEEE Intelligent Systems is published by the Institute of Electrical and Electronics Engineers (IEEE), the world’s largest professional association dedicated to advancing technological innovation and excellence for the benefit of humanity. IEEE and its members inspire a global community through IEEE's highly cited publications, conferences, technology standards, and professional and educational activities.